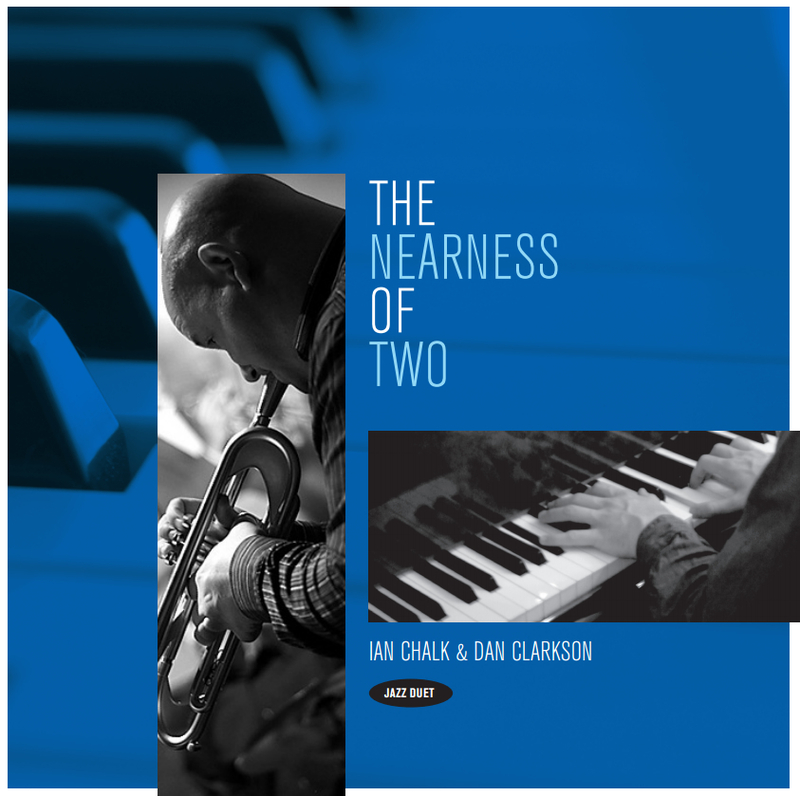 Just last week Ian Chalk and myself put the finishing touches on our duet album ‘The Nearness Of Two’. “A digital delight, an album that is awesome in it’s simplicity! Chalk, perhaps best known for his work with the Kate Peters Septet and other Leeds based outfits blows with a pure, clean sound that is never sugary sweet but cool and compelling. His improvisations are melodic and logical extensions of the tunes. Clarkson accompanies but doesn’t just comp. His own lines flow in and around Chalk’s, ducking and diving – bass and drums would be superfluous here! And the songs – ah man just listen to Nancy With the Laughing Face. If Sinatra had played trumpet he couldn’t have got any more emotion from it than Chalk does. Clarkson’s solo on What’s New may be compact and concise but it’s also quite beautiful.